​On the 23rd of June the whole of the UK will vote whether or not to leave the EU, the group of countries in Europe who trade together and support each other. However, there are certain benefits for leaving as well. A few days ago we travelled around our school doing a survey, counting how many students thought the UK should be in, and how many people were out. The results extremely clear. Of 357 pupils total, only 23% voted to leave the EU. Researchers surveyed 8,000 people from Germany, France, Poland, Ireland, Spain and Sweden and a clear majority in every country thought Britain should stay in the EU. Spain, Poland and Ireland were particularly supportive, with around 80% favour, while in France, just 56% of voters wanted Britain to remain. A majority of voters in Spain and France thought the UK should be excluded from the single market if it voted for Brexit, the term for leaving the EU. However, with Norway, Switzerland is in large part bound by EU law and regulation. So far as immigration is concerned, the EU Commission is in on-going dispute with the Swiss approach to free movement of labour and it is simply inconceivable that a UK opt-out on free movement would be granted alongside EFTA membership any more than, as Brexiters rightly say, it could be re-negotiated with the EU. Immigration is one of the main reasons for a Brexit. Immigrants have lead the UK’s NHS into a crisis, resulting to overworked, underpaid nurses and doctors. People come to the United Kingdom for a wide variety of reasons, including to work, to join family members, to go on holiday, to study, or to seek asylum. The rules determining access to free NHS treatment are complex, and depend on both the type of service and a person’s immigration status. Some services, such as GP services and treatment in an A&E department, are free of charge for anyone, regardless of how long they have been in or intend to stay in the United Kingdom. Lots of youth clubs around the country have had to try and struggle on with no government funds. Most of these clubs, which hold many teens who are looking for things to do with their time, are not in exceptionally poor places and so the government has decided to move their funding to more essential matters, leaving the clubs to fend for themselves. Thousands of teens will be without anything to spend their day doing or have their main interests taken away. This unexpected break will leave lots of older teens hanging out on the streets and might even encourage violence between gangs or groups. It might also cause vandalism to increase as thousands of kids left without their freedom are worried that they will suffer from boredom. ​If we stay in we may be able to control our financial decisions, such as wages and benefits. At the moment, the UK is being crowded with asylum seekers, all because we hardly have control of our borders and who comes in. However there will be trading problems and a serious blow on private companies, such as car dealers and newspapers. There will be expected redundancies, and will cause major short-term problem for England, Wales, Northern Ireland and Scotland Europe can help us through times of trouble, in a case of a terrorist attack or help us if we go bankrupt. 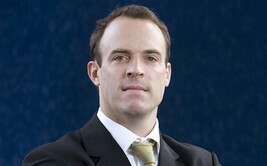 Local MP Dominic Raab says this: “Looking to the future UK firms don’t sell enough abroad. In 2014, just 11% of businesses exported. For more jobs, better wages and cheaper goods, we need to promote free trade globally.” Also, according to Raab suggests that for the smaller business owners, the family struggling with bills leaving the EU would be better for them, but for larger business such as car companies and large trading companies, would strike a serious blow (unless they are interested in taking a risk and trying to trade globally). No-one really knows the consequence of leaving, but the question still remains: In or Out? ​​It's estimated that 41,000 youth places have closed over the last two years in the UK. 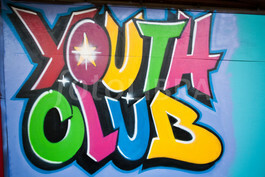 Many closing youth clubs are trying to survive by raising money to keep them open. And so far a club in the Llŷn Peninsula has managed to raise £235 by holding a bingo night for the public. Many people of the community fear that if these youth places close for good, then the streets will no longer be a safe place. Concerns over the treatment of children in Young Offenders Institutions hit headlines again last month when Charlie Taylor, former Chief Executive of the National College of Teaching and Leadership, announced that there should be a move from traditional units to something more like a secure school. Charlie Taylor was tasked by the justice secretary Michael Gove to consider child detainment. There will now be smaller custodial establishments called secure schools, these will be run by head teachers who will buy in vital support like speech therapy. These will be inspected as educational intuitions. All detained in them will be able to attend education in their own communities. They will be funded by the government, this may soon change to local bodies. We spoke to members of our school community to see what they thought. The UK's love of coffee shop chains was shaken recently when charity Action on Sugar released findings that a third of drinks in the most popular chains contained at least as much sugar as a can of Pepsi or Coca-Cola. The claims followed demands by some that the UK should introduce a sugar tax similar to one currently in place in South Africa. Cancer Research UK and the UK Health Forum worked out the likely impact of the tax on eating. The people are getting between 12% and 15% of their energy from sugar but people say it should be less than 5%. It is claimed that reducing our sugar intake could save the NHS £10 million a year by 2025 and it would stop many people becoming obese. We interviewed students at Hinchley Wood School what they thought about the amount of sugar in our favourite beverage.